Though Batman escapes the Sandman's trap, Robin is left to wander in a deadly maze. 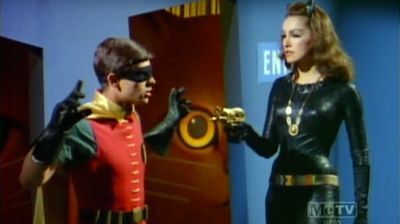 A clue leads Batman to Catwoman's lair, where he informs her of Sandman's plans to elope with J. Pauline Spaghetti and keep her fortunes to himself. Enraged by the Sandman's trickery, Catwoman sets out after him. Batman, with the now-rescued Robin, also follows, and the group meet up at Spaghetti's old deserted pasta factory.